New work by British artist Michael Dean “The Color of Public” in Kim? from April 2 to May 8, 2011. 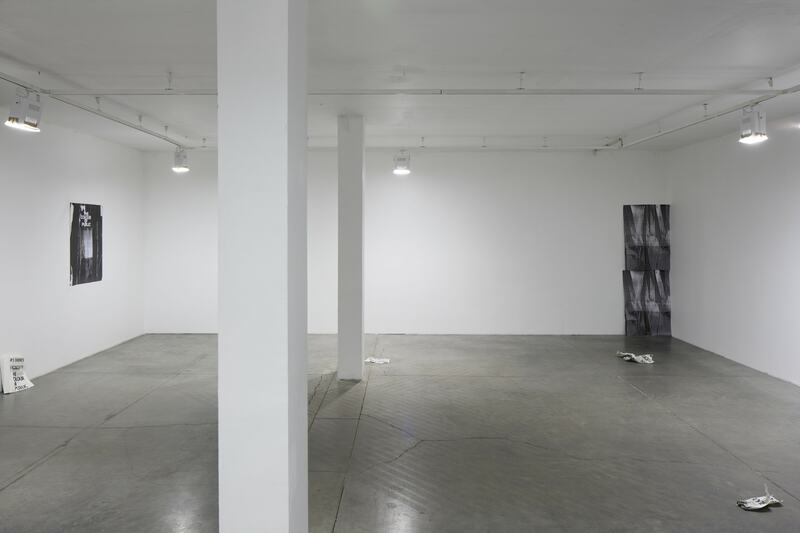 Michael Dean’s work mostly is based in his own writing and its task is to confront the viewer with such a language model, that makes oneself to give it a content. Author’s work can be described as sculpture, that shows writing in its corporeity. Form of the work is abstract and resembles antient fosil or primitive art, that, in Dean’s case, holds the essence of text. 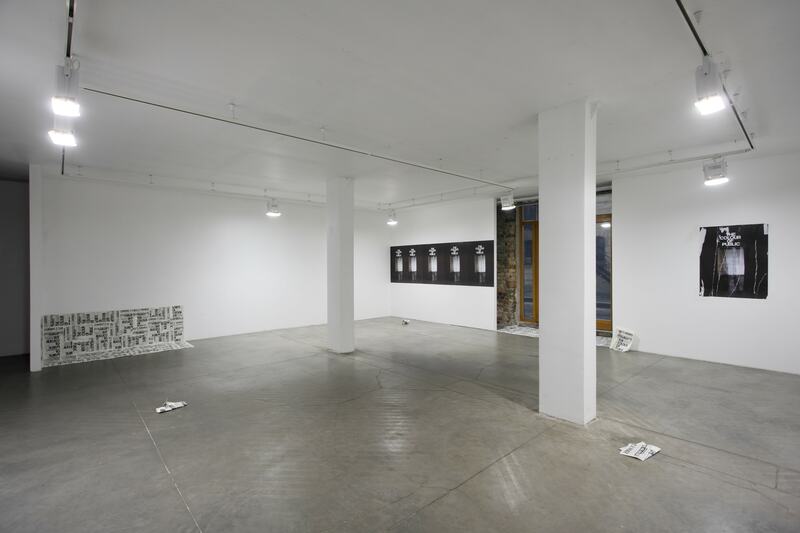 Writing and the delivery of this writing into a state of physicality, through performance, sculpture, photography and video centres Dean’s research into the political properties of language pertaining to authorship and autonomy. 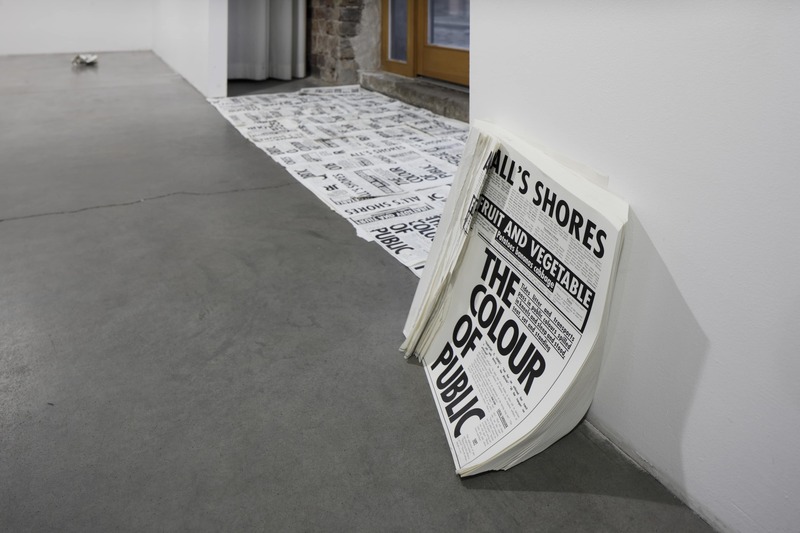 “The Colour of Public” takes the image of both a Tabloid and a Poster for a physical instance of delivery. A prop, in terms of materially situating attention in relation to an idea of scene and location. Here, in imitation of any public thoroughfare with its combination of architecture, advertising and litter. A poster for “The Colour of Public” repeats upon the walls, advertising the very event the viewer enters. A prompt, presented in the form of a diminishing book from which the viewer is invited to tear out and take away a page. The writing is simultaneously installed in the hands of the viewer and in the mouths of the reader on being read. Michael Dean (1977) was born in Newcastle Upon Tyne, UK. The artist has studied at Goldsmiths College in London and has participated in various exhibitions in Europe. Dean lives and works in London.